What is this? I just posted yesterday and here I am again! A rare occurrence...it probably won't ever happen again. However, I just had to share this recipe I tried tonight. As most of you know, I love Pinterest. 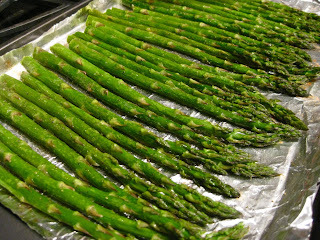 And I love it all the more now since it introduced me to THE BEST and simplest asparagus recipe I have ever tasted. My sister and I devoured a whole pound of asparagus in minutes. Thankfully, Jewel is having an amazing asparagus sale so I'm going back for more so we can eat more. Knowing how much we love our veggies, I may have to buy the store's entire stock. Asparagus is really good for you too! It contains plenty of nutrients, detoxifies, works as an antioxidant and apparently fights aging!!! You can read up on it here. Sometimes asparagus is picked when they're "old" and not as tender. This results in asparagus with a tough exterior which is never fun to eat. (Trust me, it has resulted in embarrassing moments at restaurants when I'm gnawing at the stalk to bite off a piece.) The trick is to take a paring knife and start below the flower part of the stalk. Strip off a thin layer of the exterior until you reach the base. Then continue to work your way around the stalk. If you have any other suggestions be sure to comment below! 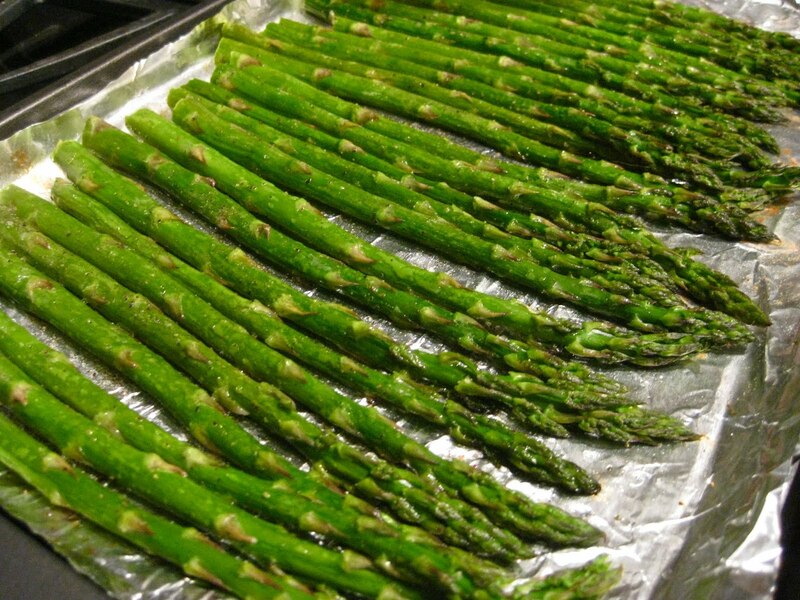 This is the only way I eat asparagus, it is so good roasted!